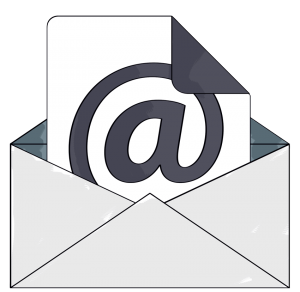 Dealing with emails is an essential part of everyone’s day-to-day work in business. This familiar interface is therefore the ideal choice for the use of the automization of business processes. With its mail service, the Digital Process Factory (DPF), can now monitor IMAP and exchange post boxes and also produce DPF orders from incoming emails. The DPF is a sequence control for complex file conversions. On receipt of the order, all boxes of the incoming email (f. ex. reference, sender, email body, attachments) are transferred to the DPF as a parameter. When the DPF has processed an email, it marks this as read or places it into another folder at the mail server. During configuration it is also possible to preset parameters which are included in each order. It is therefore not necessary to provide such instructions separately via email with each DPF order. An obvious application for the DPF mail service is the file conversion. For this purpose, parameters for the conversion, such as the target format for a conversion, are included in the body of the email. The attachment is converted to the target format and automatically returned to the sender. Many businesses need to archive important emails. With the DPF mail service, a solution can be built which automatically converts the emails in the SAP when they are forwarded to a specific email address. The quality of suppliers‘ documentation plays an important part during the compilation of systems documentation. To avoid the filing of documents in SAP, which could lead to problems at a later stage, we have recently created a process for clients which automatically checks documents that are received by email to ensure that they conform to PDF/A and, in case of any problems, notifies a member of staff. Documents which have been successfully checked are filed in SAP. In any event, the sender receives a response containing a log of the test results. There is an option to produce a print job from the incoming email. You enter the output device of your choice in the subject field. The attachment will initially be converted to PDF. This file is then transferred to Plossys, which prints out the file on the output device. This is an ideal way to quickly provide a printing facility to your visitors without the need for elaborate system integration. The DPF mail service provides you with a tool that enables you to easily integrate the DPF in existing processes, to deal with routine tasks quickly and reliably and to reduce your employees‘ workload. Convinced? We are happy to provide you with further information, a site visit or to simply answer any queries you may have! Please do not hesitate to contact us!